It’s mid-January, where are you with your New Year’s resolution? Did you make one? Do you have a goal in mind to decrease your body fat percentage? An interesting concept over New Year’s resolutions has made it to social media platforms as a hashtag, #newyearsameme. So why is this important in the New Year’s resolution narrative? It’s important to explore because oftentimes around the new year, people make lofty goals they can’t keep, so why waste time, money, and energy and just live in the present and accept yourself as is? We all have things we want to change and alter, but what if it’s in the breakthrough of self-acceptance that allows you to flourish? Sometimes it’s the pressure we place on ourselves that crushes us and our goals, so why not explore #newyearsame? You are enough without any New Year’s resolutions, in the present right now. Let this enoughness guide you. Goals are made with a future tense in mind, so try asking yourself in the moment what will be nurturing and fulfilling to yourself now. If you’re ready to commit to a change because it’s intuitive and not necessarily a resolution, try the four month training program — Energy 16 — from Energy Fitness in Atlanta. 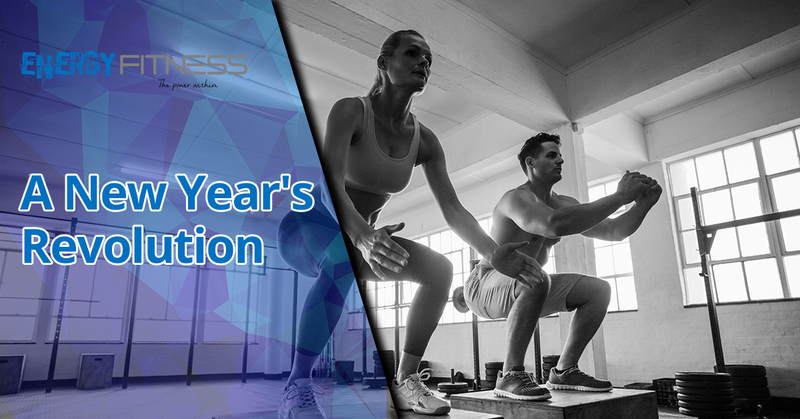 In this four month program, you will be guided by one of our personal trainer’s in four phases that implements proper nutrition and lean muscle building. Foundation – The building block for fat loss and insulin sensitivity. Integrate – Continued fat loss and an increase in lean muscle. Hyperdrive – Decreased body fat percentage. Sculpt – Achieved optimum levels of insulin sensitivity, lean muscle, and strength. If you’re ready to commit to your health and love a gym that inspires integrity, motivation, and accountability, check out Energy Fitness today! Or, even better, sign up for Energy 16!